The updated Wave Inspire 13 offers the kind of lightweight support that will keep you running longer. The shoe will cradle your feet and provide a balance of flexibility and cushion. From first to last step, runners seeking guidance will find a smooth and supportive ride in the latest version of this category leader. An improved u4ic midsole adds durability and responsiveness, and an all-new upper increases breathability and flexibility without losing our signature, harmonious fit. Mizuno is transforming running once again with the redesigned Wave Technology for a softer cushioning, and an enhanced responsive feel. Mizuno’s Dynamotion Fit features a breakthrough in Triple Zone engineered mesh for breathability and comfort. 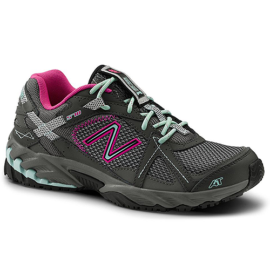 The Wave Rider is always a top choice for the neutral runner seeking a cushioned yet responsive ride. The Wave Rider 20 maintains Mizuno’s classic fit while also featuring a breakthrough in Triple Zone engineered mesh that provides breathability, movement and hold throughout the run. After 18 years of continuous refinement, our latest Wave Rider is guaranteed to exceed all expectations. When you work in a fast-paced environment, you need shoes that can keep up with your every move. Here they are. 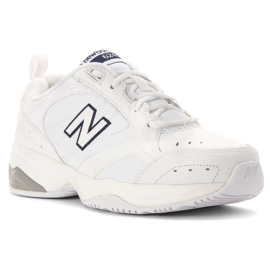 Imbued with the athleticism that defines NewBalance, these 570’s are fully loaded with ABZORB cushioning for exceptional shock absorption, an injection-molded midsole for flexible support and optimum cushioning and a Ghille lacing system that provides a customized fit. All the speed and style you expect from NewBalance and the slip-resistant performance that comes with the SureGrip® sole. You can do anything. 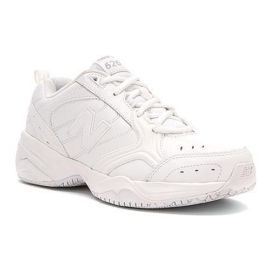 And, in the New Balance 624 cross-trainer, you can do everything. With increased flexibility and cushioning, the possibilities — and comfort — are endless. Stay comfortable all day in the 626 work shoe, taking advantage of ABZORB® cushioning foam, phantom lining construction and a supportive leather upper. 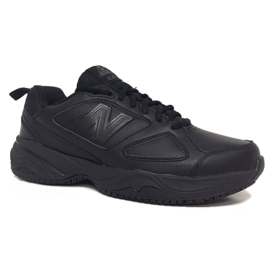 Designed for workers who are on their feet all day, the 626 offers fit and durability along with the addition of the new slip-resistant outsole design, featuring a new lug pattern for superior traction on hazardous surfaces. The 626 also features an internal shank for stability and is available in wide width.